In response to Volkswagen’s amusing “Pre-Pimped” GTI MkV ad-campaign, one of our bright interns pointed out that half the fun of owning a VW is modifying it. He would know – he had a Mk3 GTI that he lowered. And he knew he’d earn brownie points from me, because I’ve had two VWs with so many modifications that a simple list of the upgrades would crash this Web server. It didn’t take long for me to wonder: if our Four Seasons GTI is so quick, what would a chipped MkV be like? As I pondered that question, Koni showed up at our editorial offices to tell us of a new kit that they developed with Eibach. The kit consists of Koni’s acclaimed FSD shocks and a pair of Eibach Pro lowering springs. I asked Koni for a kit, and headed straight for our favorite VW shop, Next Level Tuning, in Greensburg, PA. In just a few hours, they had installed the Koni/Eibach kit, re-flashed the ECU with custom APR programming, and installed a boost gauge. I slowly drove out of the shop, and then laid 200 feet of tire up the hill. Whereas the stock ECU programming keeps the turbo’s boost to around 11 psi, the APR 93-octane program allows up to about 19 psi. The biggest gains are mostly in the midrange – at very high rpms, the turbo can’t move enough air to maintain the boost levels. 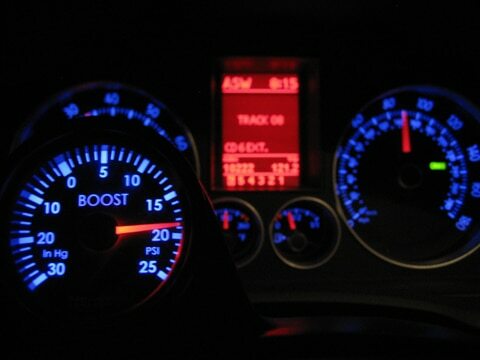 Even as the engine nears redline, however, boost is higher in 93-octane mode than in stock mode. When stock, the GTI scrambled for traction in first gear; now it simply ignited the front tires. Full throttle in second-gear was now a traction challenge – not that you felt it through the steering wheel, as torque steer remained minimal. APR’s programming has one really cool feature – it allows up to four different programs to be loaded onto the engine’s ECU. The driver to can switch between them using the cruise control stalk. As our two programs, we chose stock mode and high-boost 93-octane. APR also offers a a high-boost 91-octane program, a valet program (which limits power), and a 100-octane race fuel program. We put about 5000 miles on the chipped GTI and experienced no problems whatsoever – no hiccups, no check-engine lights, or problems. 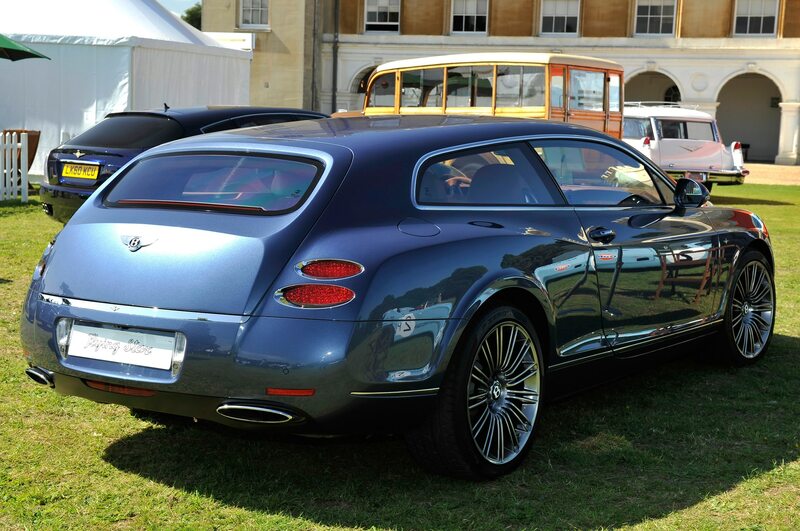 The verdict around the office was unanimous – everyone loved the extra power. A few staffers initially balked at the modification, saying they preferred the stock programming’s linear torque. Putting it back in stock mode shut them up real quick – they all wanted the extra torque more than we wanted the linear response. The end result? The fastest traffic-beater in the world. Or so road test editor Marc Noordeloos said – and no one here disagrees with him. The 2.0T’s insane midrange punch and DSG’s ability to shift without losing boost work together to create an unbeatable combination when squirting through holes in traffic. 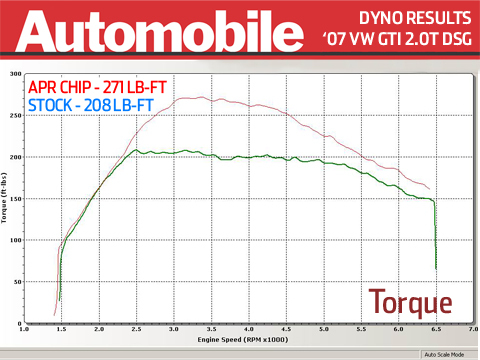 We strapped our GTI onto a DynoJet chassis dynamometer to measure its output. The 2.0T is rated at 200 hp and 207 lb-ft of torque, and last year a GTI we tested put 178 hp and 193 lb-ft to the wheels. It seems our little GTI is an overachiever right out of the box. 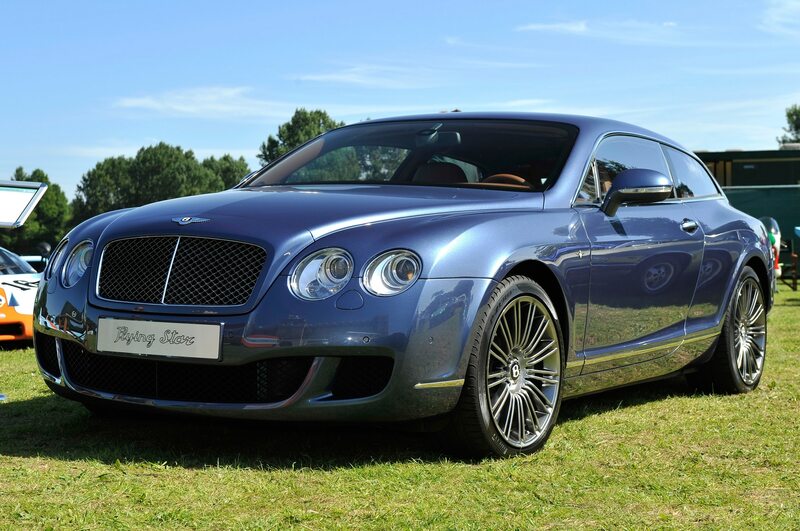 It put 191 hp and 208 lb-ft to the wheels in stock mode – 13 more horsepower and 15 more lb-ft of torque. 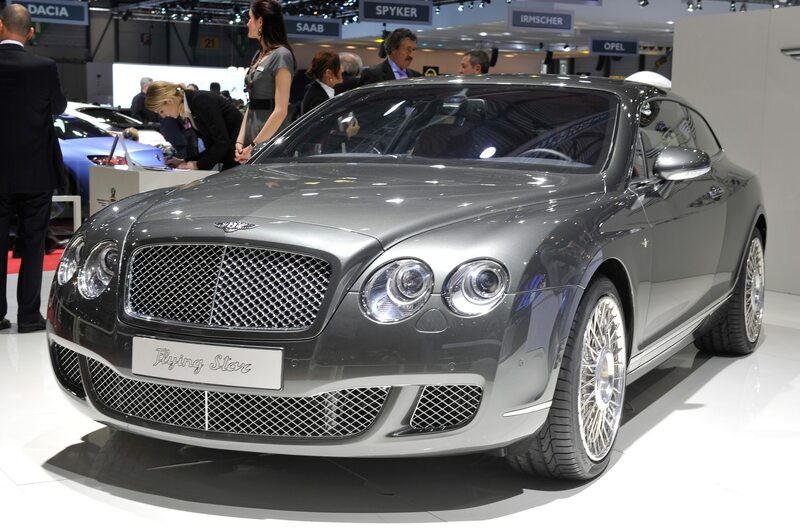 But if you think those numbers are impressive, imagine adding yet another 27 hp and 64 lb-ft! The GTI put 218 hp and 271 lb-ft of torque to the wheels, verifying APR’s claim that the 93-octane program produces 252 hp and 303 lb-ft at the engine. The GTI’s numbers beat even the powerhouse MazdaSpeed 3, which, in our dyno test last year, put 215 hp and 245 ft-lb to the wheels. And even though the chipped GTI’s torque peaks at a relatively low 3200 rpm, it falls off gradually as 7000 rpm approaches, unlike the MazdaSpeed 3’s engine, which runs out of steam suddenly over 5000 rpm. 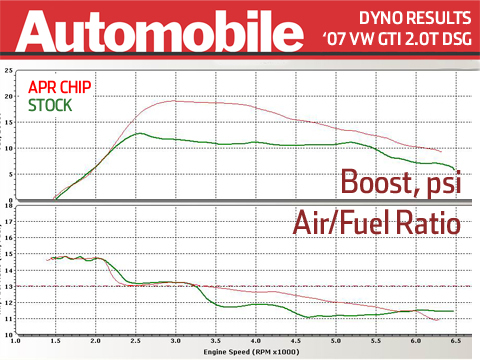 See the images at the end of the story for detailed dyno plots, including boost pressure and mixture curves. If you’ve ever been in a severely lowered car with aftermarket suspension, you simply wouldn’t believe how fantastic the ride quality was on our GTI with the Koni FSD / Eibach combo. On my initial drive from the tuning shop, I paid attention predominantly to the engine’s gains – and completely forgot about the suspension, until I noticed that it actually felt smoother. 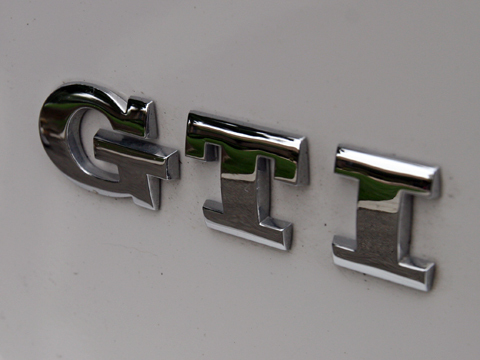 You read that right – the GTI’s ride quality improved by lowering it. While that is so rarely the case, it wasn’t too surprising, given that Koni’s FSD (short for Frequency Selective Damping) system is designed to do exactly that. Despite a considerable loss of wheel travel (the kit lowered the GTI 1.5 inches in the front and 1.2 inches rear) the suspension bottomed out no more frequently. Suspension guru and steering snob Marc Noordeloos hates aftermarket suspension – and didn’t love this setup either – but he was nevertheless impressed by its secondary ride quality. He wants to try the FSD shocks using stock springs, as he concluded that lowering the car changed the suspension geometry enough to mar steering feel. Small niggles aside, there is no question that Koni’s FSD shocks are all they’re cracked up to be – they filter out small road irregularities far better than the factory shocks, and then firm up in response to big bumps. It’s easily the best aftermarket lowering suspension I’ve ever encountered – and the GTI’s aggressive look was just the icing on the cake. Now that it’s back to stock, I think “SUV” every time I see the gap between the fenders and wheels. We spent $859 on the APR programming, $818 on suspension, and $150 on installation for a total of about $1800. For that money, you get a GTI whose 252-hp power output is remarkably close to the R32’s 250-hp rating. 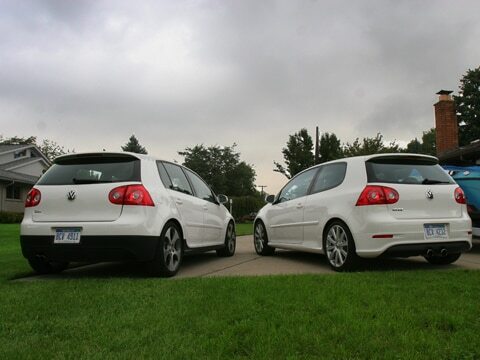 (Of course, the GTI’s 303 lb-ft destroys the R32’s relatively soft 236 lb-ft.) The key differences are that the R32 has all-wheel drive, six cylinders, and much better brakes (along with another few upgrades) – but it also commands about another $5000. 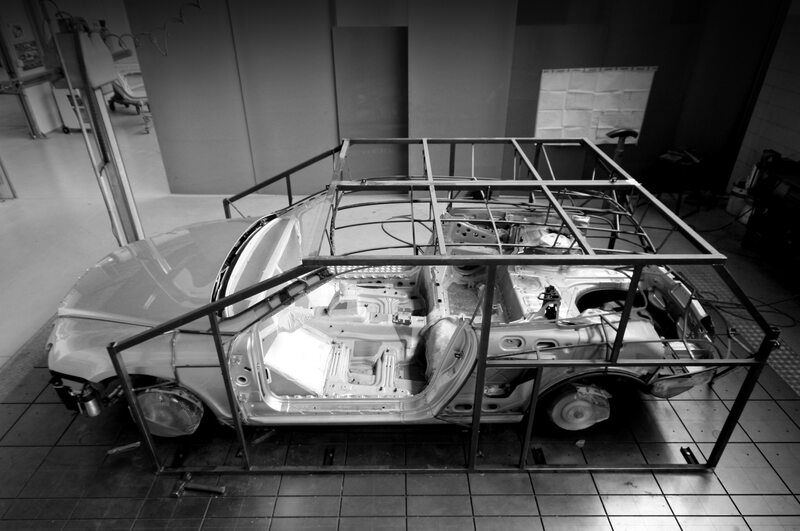 So the question is – is the R32 worth the extra money? In terms of acceleration, there is a clear winner: the chipped GTI. 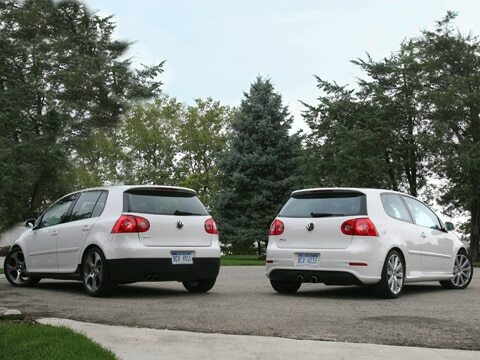 The R32 managed the 0-to-60 mph sprint in 6.2 seconds, but the GTI cleared the same hurdle in only 6.0 – 0.2 seconds faster. That may not seem like a significant difference, but the front-wheel drive GTI is severely traction limited. So, as speeds increase, so too does the GTI’s advantage: it beats the R32 to 130 mph by an astonishing 7.1 seconds. 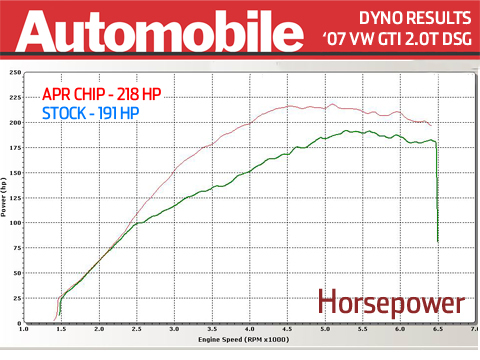 And while both the stock GTI and R32 are limited to around 130 mph, the chipped car continued pulling until 147 mph. 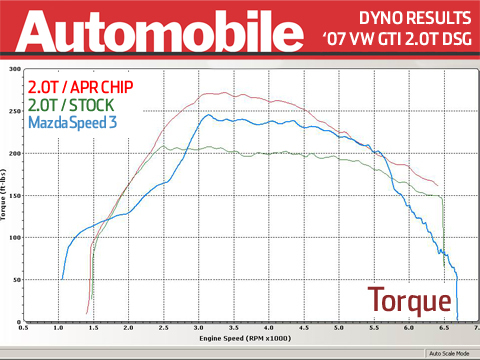 Full-out acceleration numbers show only part of the GTI’s advantages – it’s in the midrange where the GTI’s torque blows the R32 off the road. Full-throttle fifth-gear passing acceleration from 50-70 mph is a massive 0.6 seconds faster in the GTI. Straight-line speeds don’t tell the full story, of course – so we swapped the GTI’s wheels and summer tires over to the R32 (which arrived at our editorial offices with All-Season tires) and performed braking and cornering tests. The R32’s all-wheel drive and better weight distribution helped lateral grip, beating the lowered GTI’s 0.89g by pulling 0.92g. Braking distances from 70 mph were comparable. 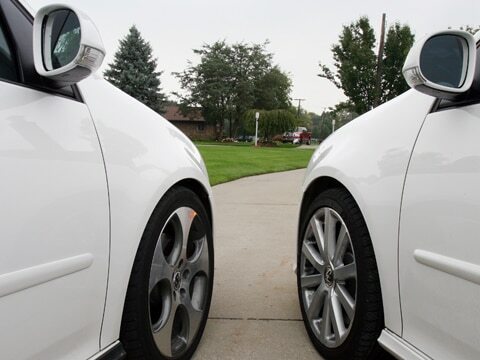 The biggest test came when we took both cars to Chrysler Proving Ground’s tight road course. After driving the cars back to back (again with the same wheels and tires) I wrote in my logbook, “I bet my slowest lap in the R32 was still faster than my best lap in the GTI.” And my seat-of-the-pants impression was correct. Laps in the R32 were, on average, 1.3 seconds faster than the GTI, despite the GTI’s significant acceleration advantage. While the R32’s lateral grip was a contributor to the faster laptimes, its ability to put down power was no doubt the biggest help. The GTI scrambled out of turns, spinning its front tires – at times even in third gear. The R32 simply rocketed out of the corners with no drama. After driving an R32 at the Streets of Willow race course in California, I commented that the R32 was a terminal understeerer. This particular R32, however, behaved quite differently. 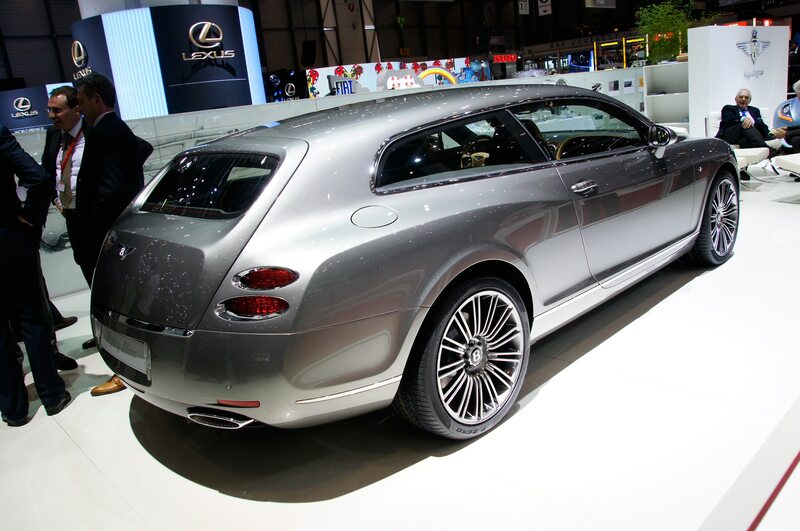 The rear half of the car played an active role in the corners, rotating willingly, especially under trail-braking. Under throttle, the Haldex all-wheel drive system transfers enough power forward to pull the R32 back in line. Compared with the razor-sharp R32, the GTI fumbled around the track – and its brakes faded horribly after a few laps. Neither the aroma of cooked brakes nor the long, squishy pedal travel was to be found on the R32. So while the GTI is very quick in a straight line, and the Koni FSD / Eibach Pro suspension kit makes it look and ride great, the R32 is still the MkV to beat when the roads turn twisty. 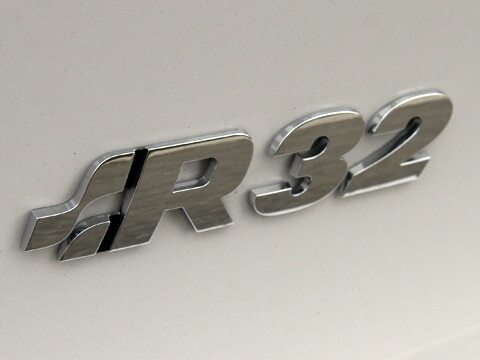 In terms of straight-line performance only, the R32 is probably not worth the price premium, but you can’t put a price tag on its much more civilized demeanor. Unlike the GTI, the R32 doesn’t accidentally light up its front tires pulling away from every stoplight, and its brake pedal doesn’t feel like mushy oatmeal. This is one comparison that’s too close to call – it comes down to a matter of taste. Around town, the GTI is our choice, but for back-road blasts and track days, we’d spend the extra money for the R32. Be sure to check out the performance figures and graphs on the next page. It turns out that we picked a real winner. Can we pimp our 2007 Volkswagen GTI and make it faster than a VW R32? We install a Koni FSD suspension and APR reprogramming to make one quick GTI. Can we pimp our GTI and make it faster than an R32? We install a Koni FSD suspension and APR reprogramming to make one quick GTI.